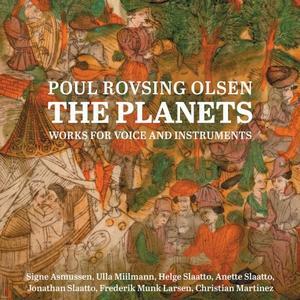 This album features Rovsing Olsen's last composition, a string trio named a Dream in Violet, as well as four world premiere recordings: two other instrumental works and two pieces for voice and instruments, including The Planets, based on an illustrated block book from the 15th century. 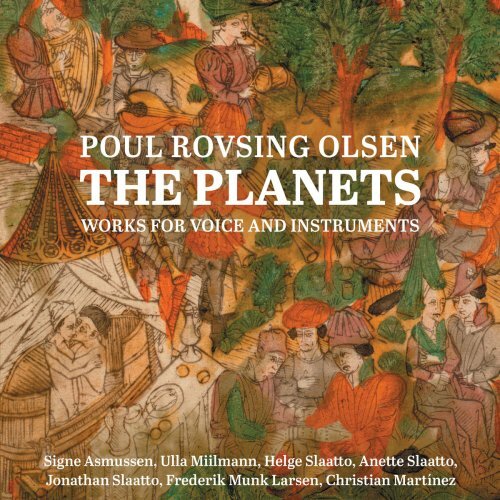 The composer Poul Rovsing Olsen (1922-1982) was educated at the Royal Danish Academy of Music and subsequently in Paris, where he studied under the highly regarded teacher Nadia Boulanger and the renowned composer Olivier Messiaen. Alongside his studies of classical music, Rovsing Olsen cultivated his passion for Oriental music, and at the Parisian Musée de l’Homme, with its extensive collection of tapes and records with the music of peoples from far-off countries, he was able to steep himself in the musical languages. This interest was to have great importance for his later life and work.